This specimen was found by farmer Manfred Gollub on his farm between Maltahöhe and Gibeon in 1985 and shipped to Germany under the name of its find location. 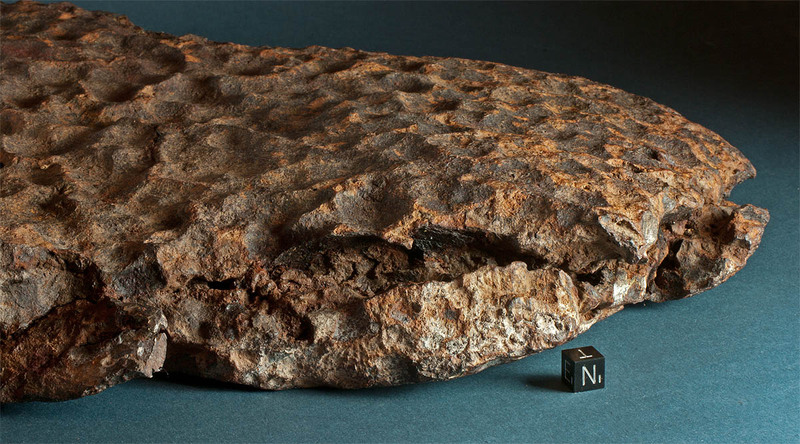 With dimensions of 42 x 36 x 6.6 cm the meteorite forms a flat oval shield narrowing towards frayed edges. Due to the thin profile of the shield shape the Maltahöhe mass weighs only 29.96 kg. One slightly concave surface is completely covered with small regmaglypts which show an average extension of 2 cm and an average depth of ~1.2 cm. The regmaglypts are distributed in a random pattern rather than in a radial orientation. Their depth increases towards the centre of the concavity, which is located ~ 8 cm off the geometrical centre and on the expanded end of the shield. Though no fusion crust is preserved the overall erosion on the Maltahöhe mass can be considered very moderate. 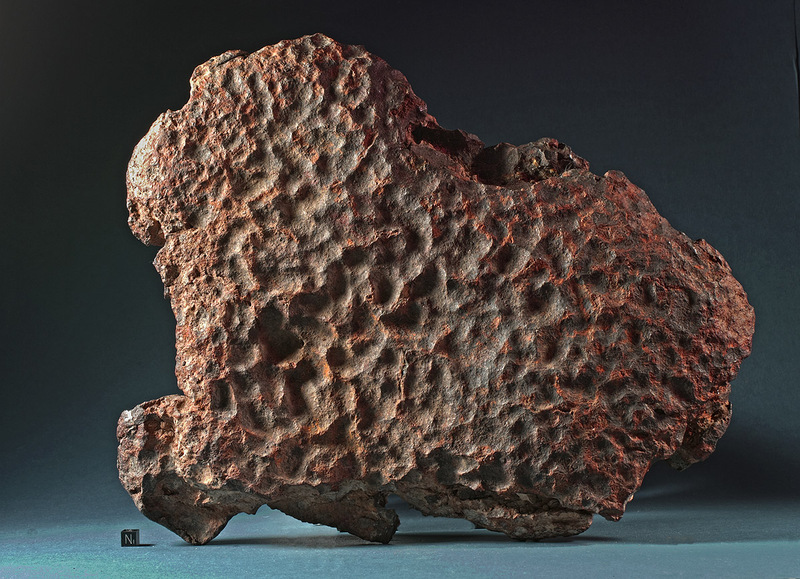 Regmaglypts are still clearly defined, extension cracks show only superficial caving or smoothing and the usual exaggeration of features common on Gibeon meteorites is absent. Scale cube is 1 cm.